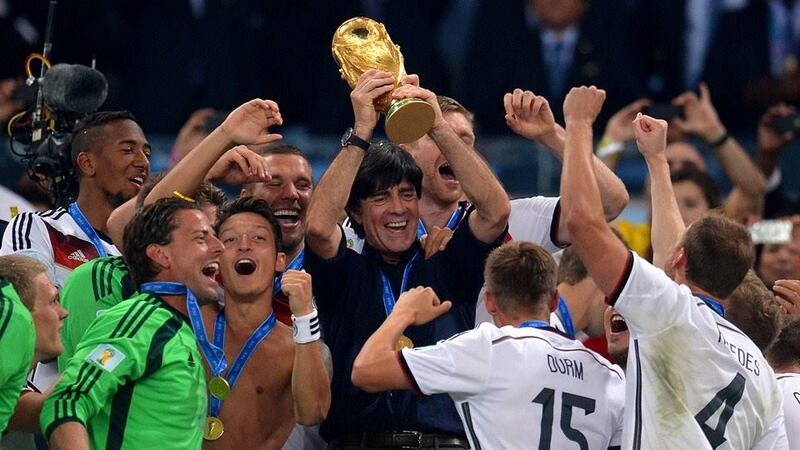 And the day many of us have dreaded since the opening game on June 12th, World Cup 2014 has come to an end. Germany defeated Argentina to win its fourth World Cup and brought home the kind of pride and joy it has not had since 1990. I’m not even German, and still, it was a proud day today. A lot of people have their gripes about FIFA and the World Cup — and team sporting events in general, but today it was a day that the World Cup is supposed to be. It brought together people of all cultures to watch and cheer for something that we have no direct ties to. As a friend I met recently (because of the Games, no less!) put it, “…The World Cup joins the entire world together for a few weeks every year. For example I watched the final in the U.S with Germans and Argentinians in a Hawaiian restaurant eating French fries and drinking Irish beer.” How can you argue with that? We’ve all cheered together, we’ve all cried together and we’ve all argued together at some point during the games. Watching these games this year made me think back to my own days of athletic competition. It reminded me of what it felt like to really work hard for something. It reminded me of a time when I wanted something so bad, that I could taste it. It reminded me of what it felt like to work so hard and do my very, very best and sometimes, my best just wasn’t good enough. I’ve cried the same tears that Argentinians cried today, and every other team that was knocked out leading up to this final. And yet, I’ve also felt the same, immense pride that the German players felt today when all of that hard work and perseverance just happens to pay off. I’ve felt the same joy when a little bit of luck just happens to be on your side that day. Some people just say it’s all a simple game. Some hate sports with a passion — I don’t blame them, but I don’t think it’s the sport they hate. It’s the (often-times) idiotic fans. Still, I don’t think there’s any other feeling in the world that compares to winning a ‘simple game’. We all go through life, achieving promotions and awards and other incredibly significant milestones. Yet, in my eyes, it’s not the same as winning that 1st place for something so simple as a sport. It’s something that tests your physicality, your mentality and your emotions in ways that nothing else can. You have a team that you have to work together for a greater good. It’s a good feeling; it’s a great feeling. Congratulations Germany on the win. I have no idea what I’m going to do for the next four years. There will certainly be some serious World Cup withdrawal.